Judith S. Hurwitz is President and CEO of Hurwitz & Associates, Inc., a strategy consulting and research firm focused on distributed computing technologies. A pioneer in anticipating technology innovation and adoption, Judith advocates for a pragmatic adoption of an architectural and business approach to the emerging market for cloud computing, service orientation, and service management. She has served as a trusted advisor to many industry leaders over the years. Judith has helped these companies make the transition to a new business model focused on the business value of emerging platforms. Prior to founding Hurwitz & Associates in 2002, Judith was a co-founder of CycleBridge, a consulting firm focused on life sciences software. In 1992, Judith was the founder of Hurwitz Group. She also served as a senior information technology consultant at John Hancock and Apollo Computer. Hurwitz combines a comprehensive understanding of industry issues with a focused, business-oriented approach. She believes that rather than looking at emerging technologies in a vacuum, industry leaders need to evaluate technology based on the impact on innovation, business effectively and the bottom line. Hurwitz’s expertise is widely recognized, and she is frequent speaker at industry events and writes a popular blog focused on distributed technology. She is the co-author of the following books published by Wiley Publishing: Cloud Computing For Dummies, Service Oriented Architectures for Dummies, Service Management for Dummies, and Information Management for Dummies. She has written extensively about all aspects of distributed software. Judith holds a BS and MS degrees from Boston University. She serves on several advisory boards of emerging companies. She was named a distinguished alumnus Boston University’s College of Arts & Sciences in 2005. She is also a recipient of the 2005 Massachusetts Technology Leadership Council award. 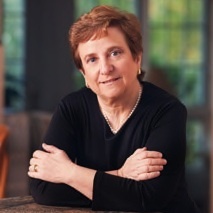 Judith is a co-author of Service Oriented Architecture For Dummies, 2nd Edition (Wiley Publishing 2009), Service Management For Dummies (Wiley Publishing 2009), Cloud Computing For Dummies (Wiley Publishing 2009) and Information on Demand For Dummies (Wiley Publishing 2008).